This month Jenny Roberts – Project Engineer at Lancaster University has been chosen as the July 2015 recipient for the SOLIDWORKS Women in Engineering Recognition Program. She was chosen based on her leadership and expertise in Additive Manufacturing and Mechanical Design. Her world-leading research support at Lancaster University extends to providing supervision, guidance, and mentoring for undergraduate students. Jenny is an advocate for the engineering community and serves as an inspiration for young students. Her Background: Jenny started as a student taking design technology at school and didn’t know what engineering was until a teacher introduced her to the subject. She had been interested in crafts and design at an early age and always enjoyed the creation process. Even in her youth she knew engineering was what she was really captivated by. 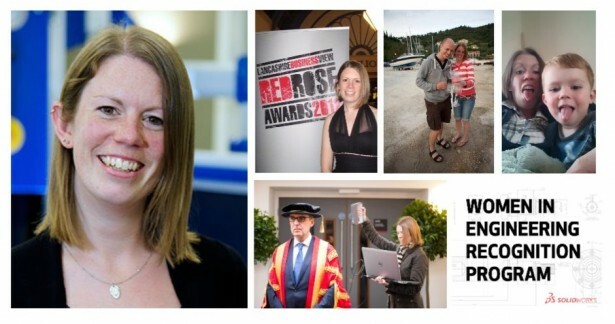 Jenny graduated from Lancaster University with a Masters of Engineering Honours in Mechatronic Engineering. Work experience was gained as she went on to DCA Design International as a Junior Mechanical Engineer and later Playdale Playgrounds as a Design Engineer. Jenny then started her own business Sprocket DC Ltd.
Sprocket DC Ltd: After gaining some experience from previous jobs and relocating, Jenny decided she was ready for a new challenge. She started her own business Sprocket DC Ltd as she wanted to be able to pick her own projects and possibly get into the medical device and assisted technology industry. After the first year she had built up her credibility and was able to grow her business. As a single person running all aspects of the company, she faced some challenges as she had to be the accountant, secretary, salesperson, and design engineer just to name a few! She explains her role as wearing many new hats with a lot of her time spent on roles that were not engineering-based. One of her biggest challenges at the time was networking and selling others on her business to find new clients. One of the biggest rewards was being shortlisted two years in a row for the Red Rose Creative Business of the Year Award. The Red Rose Awards are run by Business View Magazine and comprise of an interview and presentation for finalists to showcase their creative businesses. assist Small and Medium Enterprises with their product development needs. A company will come to her team with an idea and she helps with the detailed design work, research into the product and opportunities, and enables the company to grow their idea to eventual manufacture when they may not have the resources or facilities. 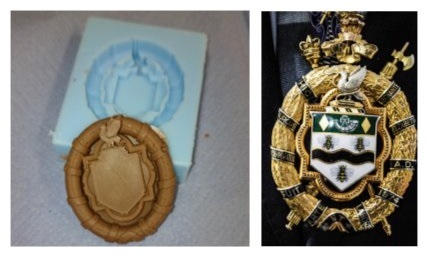 Some past projects have included insulation screws, novel cell culture growing devices and chocolate molds. One of her most exciting projects is creating mini 3D models of people. 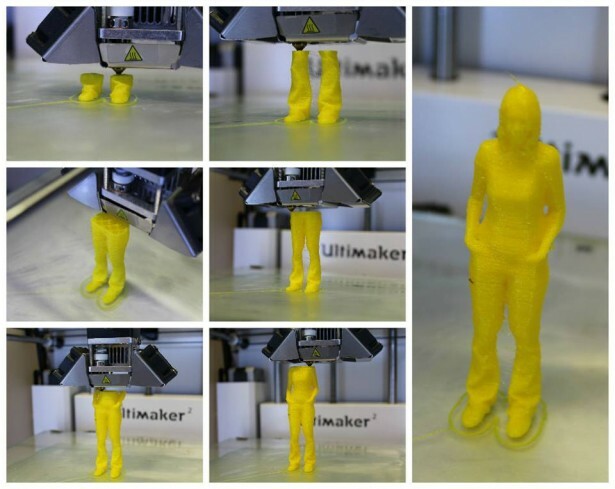 She used a 3D scanner to create a model of herself along with an Ultimaker 2 3D printer. This project experimented with printing with a flexible filament. Earlier this year, the new Lancaster University Chancellor (Rt Hon Alan Milburn) was scanned using a 3DS Sense Scanner and then a SLA (stereolithography) bust of his scan was produced and presented to him later in the day. This 3D scan technology uses an IR sensor and transmitter and webcam to capture and record the model and is the same technology seen in a Nintendo Wii or Xbox Connect. She plans to continue testing the 3D scan capabilities into the future. Mentoring: Jenny has mentored students through her University since working at Sprocket DC. Undergraduate students at Lancaster University can be mentored by industrialists and Jenny had mentored in this way as an entrepreneur and many times since joining the University herself. She has mentored both male and female engineers that are looking for some assistance with their career, job applications, and advice. Some of her mentees she now considers her close friends. Intern at DS SOLIDWORKS and student at Alfred University. Buffalo Bills fan and avid gardener.